Stamped Sophisticates: This Little Piggy...what a fun stamp set from Stampin' Up! This Little Piggy...what a fun stamp set from Stampin' Up! 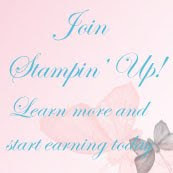 Final Day to earn extra $35 in Stampin' Rewards! This set has 4 different piggy images, other fun elements such as kisses and clouds, and plenty of sentiments. This set just makes me smile whenever I look at these little piggies, and I hope the cards I send using this set do the same for the person who receives it. For today's card, I stamped the two pigs out of Powder Pink with Night of Navy ink and fussy cut the pigs to mount on my card. The pigs both have sentiments, which I covered with Post It notes and just stamped the pig. I then covered the piggy image, and stamped the sentiment on Whisper White cardstock and die cut it with the Stitched Shapes and then layered it in a matt cut with the Layering Ovals Thinlits. The piggy images and the sentiment are popped up on dimensionals and mini dimensionals. The basecard is Thick Whisper White. 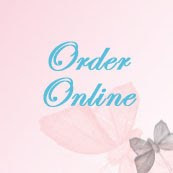 Then there is Night of Navy layer and a layer of Powder Pink Fresh Florals Designer Series Paper. The image block is matted in Night of Navy and Whisper White. The ribbon is the Navy of Night 1/2" Gingham Ribbon, one of the new ribbons in this year's annual catalog. I used a Powder Pink Write Marker to add shading to the piggy images. I used a Daffodil Delight water color pencil to color the head of the flower. Only hours remain on this amazing deal you're going to love if you've been thinking about trying Paper Pumpkin kits. 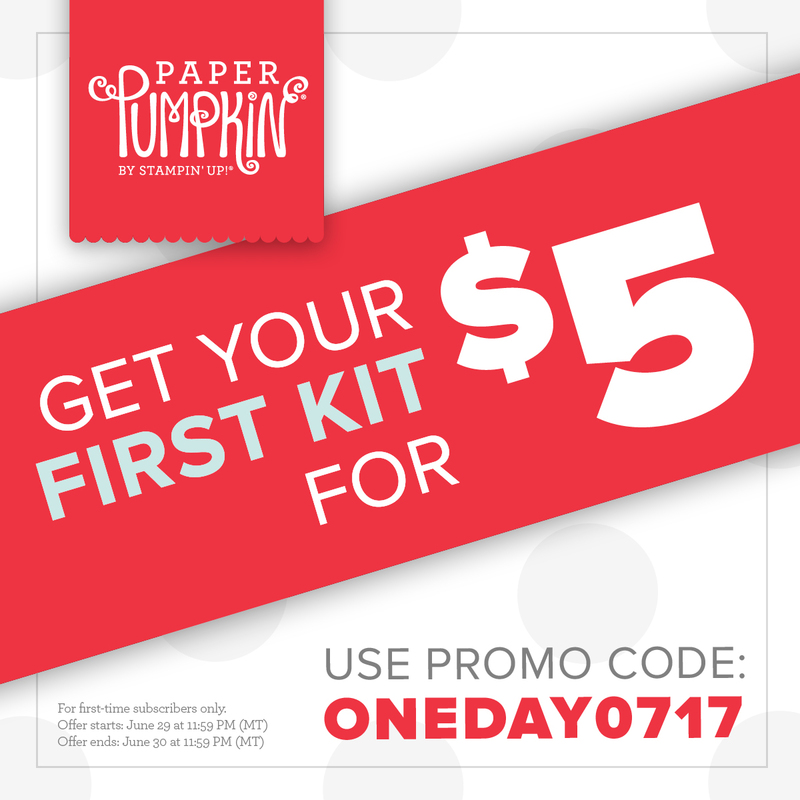 For 24 hours only, new Paper Pumpkin customers can receive their first-month kit for only $5 USD. That's a crazy 75% off the regular price. After that creativity keeps coming at $19.95 per month (shipping included). You can keep receiving Paper Pumpkin monthly kits, put your next kit on hold if you're busy or on vacation, or you can cancel after trying your first kit. Read about what's in a Paper Pumpkin kit here: Paper Pumpkin - Skip to the FUN You'll love that everything is precut and ready to go, so you can skip to the fun part of crafting! 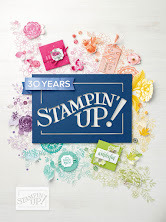 Have you placed your order from the new Stampin' Up! catalog yet? The Stampin' Up! 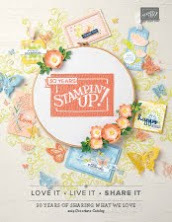 catalog showcases new stamps, new In Colors, new Dies, Punches, and new Designer Series Papers. Just a few hours remain to earn this extra reward.